Unrivaled attention to detail featuring steel rim buttons, zipper sleeve plackets, center-split back yoke, and the perfect slim fit. You will love the exceptional feel of 100% cotton/40’s Poplin fabric. Looking sharp is a top priority, and we know you will appreciate the attention to detail that we pour into every limited-edition design. From 100% cotton, paisley contrast fabric to stainless steel collar stays, we have left nothing to chance. 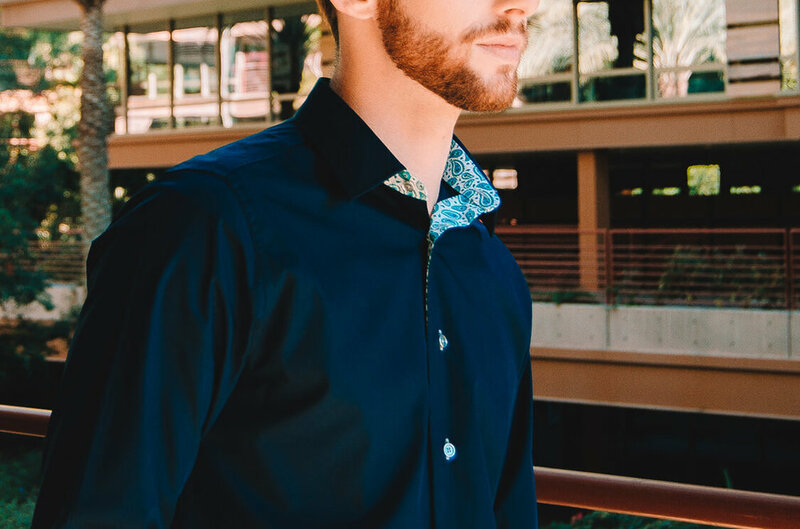 Dressed up or casual, your Aardvark shirt is perfectly versatile worn with jeans, slacks, or chinos. "Aardvark has found the perfect fit for me."